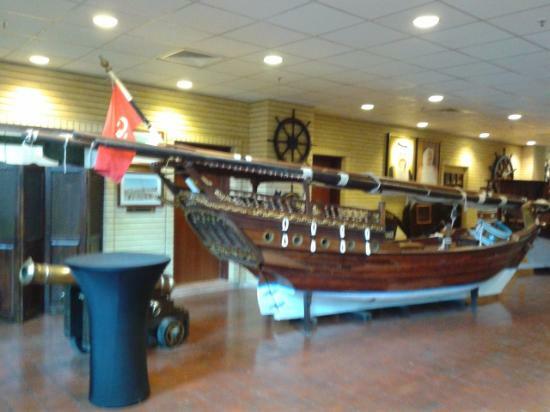 This museum has an impressive collection of large, scale-model dhows. A novel shop sells 21-piece knot boards, Gipsy Moth lanterns, barometers and sextants. You can even buy your own one-armed Nelson figurine. 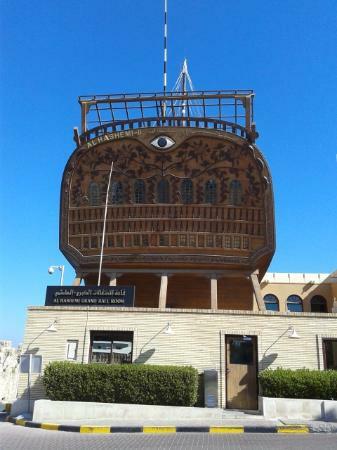 Al Hashemi II, the huge and unmissable wooden dhow adjacent to the museum, is the largest wooden boat on earth, measuring a world-record-breaking 80.4m long and 18.7m wide and weighing an estimated 2500 tons. The museum even has a 2002 Guinness Book of Records certificate to prove it. The vision of Husain Marafie, owner of the Radisson Blu hotel, Al Hashemi II was completed in 1998 from mahogany and ekki logs from Cameroon, planks from Ivory Coast and pine logs from Oregon. It’s worth taking a five-minute walk inside the lavish, parquet-floored interior, used for conferences and banqueting.